The Volleyball Serve Toss How Consistent Is Your Toss Before You Serve? The volleyball serve toss for the float serve needs to consistently be two feet up in the air and one foot in front of your front foot in the path of your serving arm. The volleyball serve toss especially for the standing float serve but regardless of what serving style you choose…has to be consistent. You have to learn to toss the same way, …the same height, putting the ball in the same spot every single time. If you have a problem with your serve, one of the first places to look is your toss. …two feet up in the air and one foot in front of your front foot. Two feet up in the air …gives you time to rotate your hips and arm to the ball…. One foot in front of your front foot …gives you a specific target area to place your ball that’s in the path of your serving arm when you bring it around to contact the ball. you are leaning over to one side to contact the ball or you are bringing your serving arm across your body to try and contact the ball. For the standing float serve you want to start in a balanced position and you want to finish in a balanced position. If your toss is making you do or add unnecessary body movements then you need to fix it. .. If your toss is in the right place then you should be contacting the ball ..in front of your serving shoulder with your elbow above the level of your ear.…and not outside of your body line. Here’s your at-home volleyball drill homework. Use this formula to start instilling the correct muscle memory for your toss. Today go out and do 50 tosses. Add 10 everyday until you do 100 tosses on your own at home. To get consistently better at tossing…you have to practice tossing. This will improve the consistency of your serve because now you know exactly where the ball will be when you contact it. Two feet up in the air, one foot in front of your front foot, in front of your serving arm. 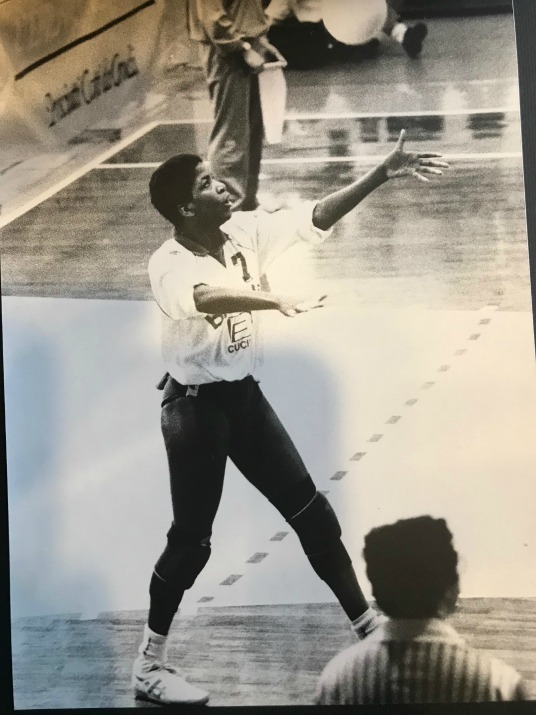 Because I did this and it helped me improve my serve in high school and again in college. 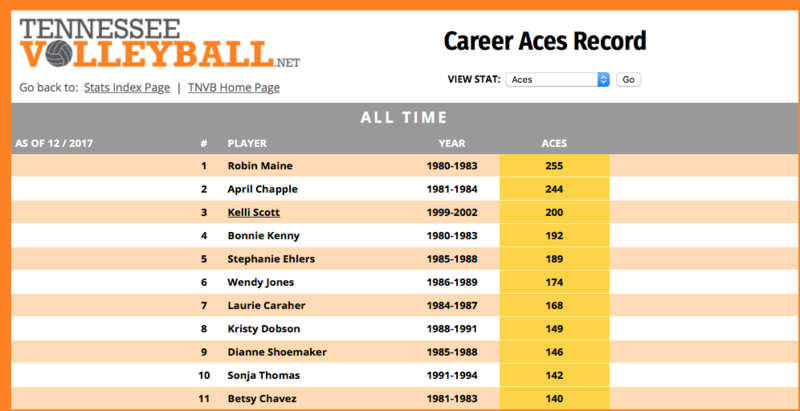 This formula helped be set career and All-Time records that still exist today in the volleyball serve aces category at the University of Tennessee Knoxville. If those records still remain unbroken after all this time, then whatever I did back then probably still works today, so try it. What to do you have to lose?